Reggie Kray was released from prison without parole in Sept 2000, in the terminal stages of cancer. Just a few days before he died, he gave an exclusive interview to Bill Curbishley from his bed at Norwich General Hospital, reflecting on his life, his crimes, and his trial and punishment. This film tells the story of the Krays, with anecdotes and opinions of associates, friends, victims, detectives, lawyers, writers and criminologists. In the interview Reggie Kray alluded to murdering “Mad” Teddy Smith. I did the journalism and research on this documentary and tracked down a number of individuals who knew the Twins and had never appeared on camera before: “Scotch” Jack Dickson, Connie Whitehead, Johnny Squibb, Johnny and Tony Barry. Legendary underworld solicitor Ralph Haeems also agreed to be interviewed. Other interviewees include Freddie Foreman, Lennie Hamilton, “Big” Albert Donoghue, the Lambrianou brothers, author John Pearson, Laurie O’Leary, barrister Nemone Lethbridge, John Platts-Mill QC, detective Leonard “Nipper” Read, journalist Cal McCrystal. 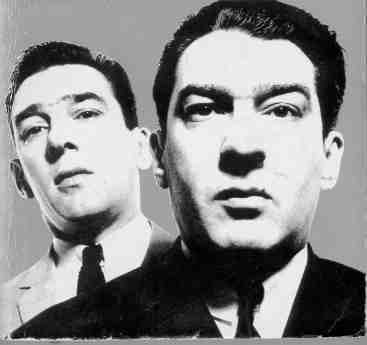 The programme is a bit of a Who’s Who of the Krays ballad. Other major figures were interviewed off-camera but would not agree to appear in the final programme. The BBC1 version of the film can be watched online here. An extended two-hour version is available on DVD. See Amazon for details.